Leading Arizona-based solar integrator accepts fourth Angie’s List award for consistently high level of customer satisfaction. Sun Valley Solar Solutions is proud to accept the industry’s coveted Angie’s List Super Service Award, which recognizes an exemplary year of service provided to members of the local marketplace and respected consumer review site throughout 2015. This is the second consecutive win for Sun Valley Solar Solutions, and the fourth win overall for the company since its founding in 2006. 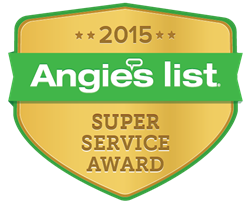 Angie’s List Super Service Award 2015 winners have met strict eligibility requirements, which include an “A” rating in overall grade, recent grade and review period grade. The company must also be in good standing with Angie’s List, pass a background check and abide by Angie’s list operational guidelines. Sun Valley Solar Solutions consistently ranks among the top performing Solar installers, regularly besting both regional and national solar providers serving Arizona.